We are pleased to announce that Assema has established a Joint Venture with Kaifeng CNC Machinery, from Jinan, China. 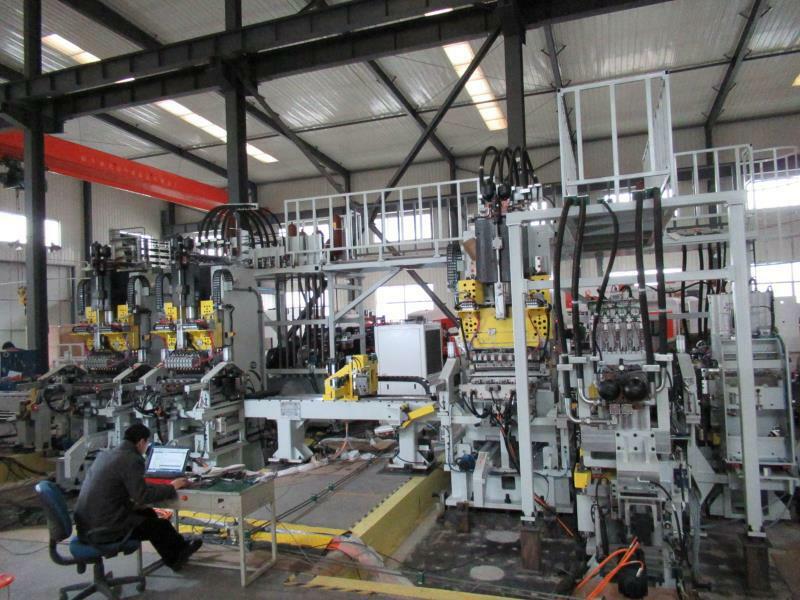 Assema – More than 15 years the preferred supplier of a leading European punching line manufacturer – and – Having background in R&D, machinery design, international commissioning and after sales activities – Will support the international sales ambitions of Kaifeng CNC Machinery. Kaifeng CNC Machinery – Founded in 2012 with shareholders and technology experts from Jinan Foundry And Metalforming Machinery Co., Ltd. (JEMMER) – and – Having expertise in design, production and automation of punching equipment for medium and heavy truck chassis side members – Can proudly announce that Assema will be their Exclusive Sales Agent for overseas truck markets. KF is opening their frontiers towards the world with the production and installation of high quality punching lines at economic prices. First references have been established for Metalsa – A global truck chassis supplier with production plants in the US, Mexico and India – For a high output 3D punching line with 5 presses to punch flange and web holes in side members with high position accuracy. Metalsa signed a repeat order in January 2019 for a 2nd punching line incorporating high output and automation features tailored upon Metalsa’s production process. Meanwhile other international side member producers are having mutual discussions about how to implement KF punching technology.